Let us wait on you for a change! Start your St. Lucia holiday off right and avoid the hassle and wait. 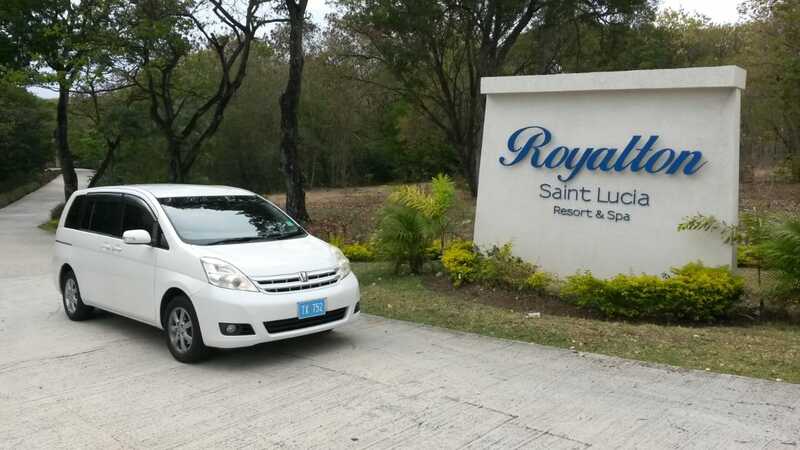 Pre-book your St. Lucia Airport Taxi and avoid the lines and waiting! Best service guaranteed. Our Saint Lucia Airport Transfer is available at Hewanorra International Airport (UVF) and George F. L. Charles Airport (SLU). Best Rates, Best Service, Satisfaction Guaranteed! We're on WhatsApp! Message us for a quick response. Join as we journey along St Lucia's west coast! Enjoy the beautiful landscapes and the freshness of the country air. In Soufriere, view the lovely Pitons and get a chance to dip in the warm mud baths of the Sulphur Springs, the world's only drive in volcano! Cool down with a splash at the Diamond Waterfalls while you enjoy our complimentary drinks! Bike Enthusiast? or Just an average Rider? Well this tour is for you! Join our guide in this northern island tour. See the town of Gros Islet and it's beautiful and vintage architecture! Culminate this casual ride with some of our award winning Piton beers while you relax and take a dip in the warm waters of the Caribbean Sea! Come explore nature at its finest! Join us as we take this short mountain hike! At the top of the Fort, enjoy an amazing panoramic view of Rodney Bay, Gros Islet town and the ocean. This worthwhile trek is definitely one for the books!
. What's better than a little rum in the sun? Excite your taste buds! Sample some of Saint Lucia's award winning rums and get the history behind its production on this guided tour. Earmarked as a unique and first of its kind collaboration, this festival will welcome artists such as Christian McBride, Ledisi, Etienne Charles, Russell Hall, and Patrick Bartley and more to Saint Lucia's shores. For more information click here. For all the exciting updates on what's happening in Saint Lucia and more, check out the official page of St Lucia here.